Kartarpur Sahib, Sacha Sauda, Sacha Khand and Beri Sahib are associated with key events or miracles in the Sikh guru’s life. Standing next to the depleted Ravi river, the renovated Gurdwara Kartarpur Sahib with its white dome is a lonely structure. On any given day, there are only a handful of devotees at the shrine, most of them Muslims, who for generations have revered Guru Nanak. It is believed that after his death, a disagreement broke out between his Muslim and Hindu devotees. While the Muslims wanted to bury him, the Hindus wanted to cremate him. They let the matter be for a night, only to discover a pile of flowers where his body had been when they returned the following morning. Equally distributed among the two sets of devotees, half of the flowers were buried and the other half cremated, thus giving Nanak both a Hindu smadh and a Muslim grave. While the main shrine was built on the smadh, the grave lies in the courtyard outside. For decades after Partition, as Sikh devotees left for India, the shrine fell to ruin. Its proximity to the border made it a hub of smugglers and drug addicts. But for Muslims living in villages around the shrine, Guru h continued to hold significance. In the pantheon of Sufi saints and the circuit of pilgrimages to Sufi shrines, the Kartarpur gurdwara remained a minor pilgrimage. Despite Partition, stories of Nanak, of his miracles, and how he transcended the confines of religious boundaries continued to do the rounds. Others went a step further and declared that Nanak was actually Muslim. 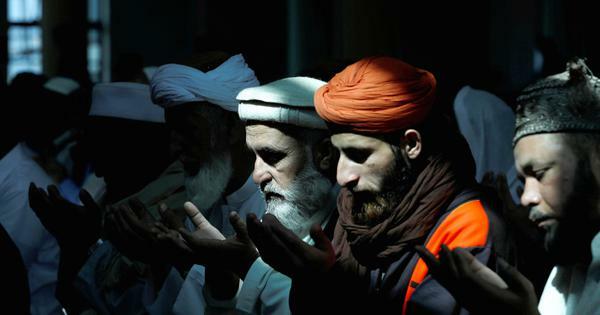 As evidence, they pointed to his pilgrimage to Ka’aba – a structure at the Grand Mosque in Mecca that is considered Islam’s holiest site – and his appreciation of the poet Baba Farid Ganjshakar. A few years ago in an interview, Ghulam Hussain, who came from a family of Muslim kirtan performers based in Amritsar before Partition, told me how Nanak, in his poetry, expounded the essence of the Quran. Far away from Kartarpur Sahib, deeper within Punjab, is the Gurdwara Sacha Sauda, a big, well-maintained complex that commemorates one of the most important events from Nanak’s early life that augured his transition into spirituality. Here, instead of buying goods worth trading as instructed by his father, a young Nanak bought food for starving ascetics in a jungle. When his father asked him what he had done with the money, he said he had engaged in a sacha sauda or true trade. Just behind this complex is another small shrine, ignored by the authorities as the more prominent gurdwara was renovated. It is believed that at this spot, Guru Nanak met a trader who had bags of sugar laden on his donkeys. Spotting the bags, Bhai Mardana, Nanak’s Muslim companion, asked him to check with the merchant what was in the bags. Fearful that he would have to give a portion of his goods to what appeared to be two beggars, the merchant lied that it was mud. “Mud it must be,” Nanak is believed to have replied, and to the trader’s shock, his sugar had transformed into mud. Realising his folly, the trader fell at Nanak’s feet and asked his forgiveness, which he was granted and thus the mud turned back to sugar, lending this gurdwara its name – Sacha Khand (true sugar). Sitting in the shadow of the gurdwara, I met a group of devotees of a saint called Peer Munawar, who is buried in front of the gurdwara. Squatting on the ground with a sickle in his hands, the mud from the fields still stuck to his forehead, one of the devotees narrated to me and the people around us the story of this gurdwara, of how Nanak had turned mud to sugar. His narration was not the traditional story but an amalgamation of the miracles performed at Sacha Khand and Sacha Sauda. He told me he had heard these stories from his ancestors who had once lived here with the Sikhs. “Guru Nanak was a true devotee of god,” he said. “He was a rightly guided soul.” His audience needed no convincing. But, sometimes, this devotion is subtle. In Sialkot, I visited the Gurdwara Beri Sahib, which commemorates Nanak’s encounter with the Sufi saint Hamza Ghous, who after having been lied to by a devotee was planning to destroy the city. 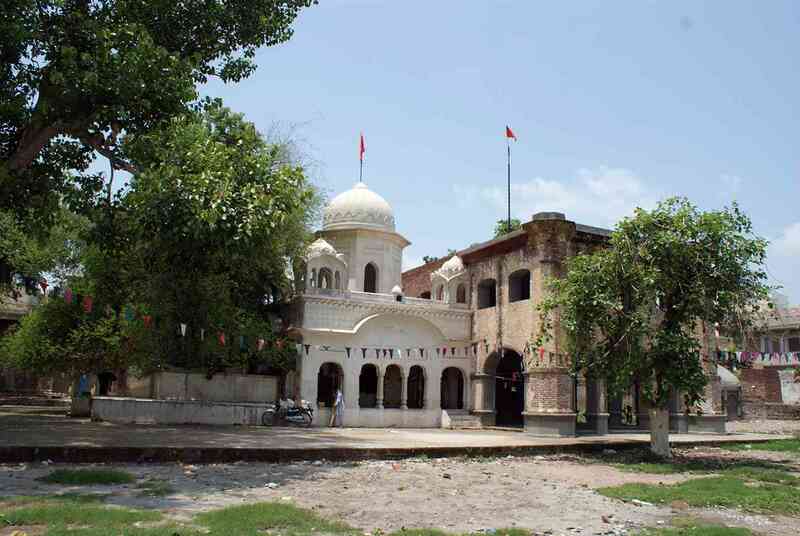 It is under a berry tree here, which lends the gurdwara its name, that Nanak is said to have convinced Hamza Ghous to abandon his plans of destroying the city. 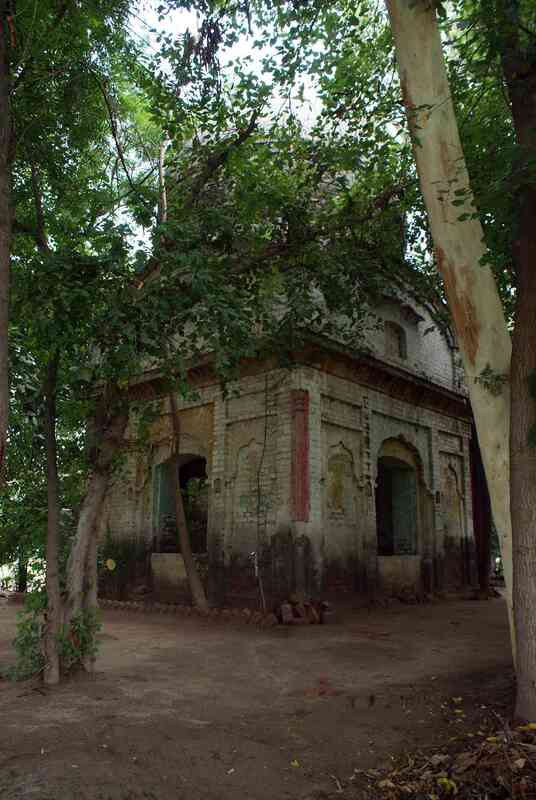 The berry tree, with a massive trunk, still stood next to the main gurdwara, which had been renovated. Under the tree was a grave with a red cloth with Quranic verses on it. This was the grave of Peer Beri (or the saint of berries), I was told. The devotees around the grave believed it had existed for centuries. The truth, however, was that the grave was constructed sometime after Partition. This was one of the most important gurdwaras associated with Nanak in the region, and the berry tree acquired a special significance because of its connection with Nanak. Slowly, as Nanak’s stories disappeared after the departure of the Sikhs, the tree remained central to the religious imagination of the people, and thus the arrival of Peer Beri. It is a unique way of upholding the sacredness of a space that was once sacred because of Guru Nanak. There are several other such stories scattered across the country that continue to hold on to the legacy of Guru Nanak. While Punjab saw the worst of the riots of Partition that ripped apart the social fabric of society, it is also home to Guru Nanak, the ultimate expression of Punjab’s syncretism. 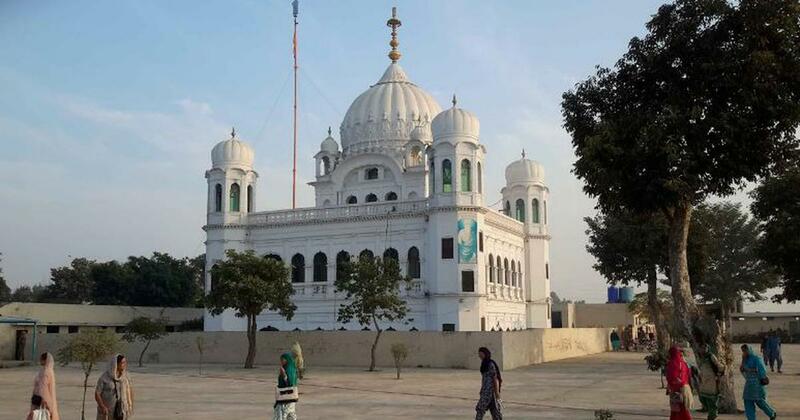 At a time when both India and Pakistan are looking to move forward and discussions about the Kartarpur corridor – a long-standing demand of the Sikh community that would allow Indian pilgrims to travel to the shrine without a visa – have once again surfaced, the legacy of Nanak becomes more important than ever before. For it holds the potential to bring people, religious communities and nations together.